Add the Meinl Percussion Headliner Series Steel Mountable Cowbell to your drum kit for the distinctive accent only a cowbell can provide - it's also great for percussion setups, too. This five inch cowbell is powder coated for durability and is ready to mount to practically any cymbal arm or accessory arm. Drummers at Remix know that tasteful use of a cowbell can really get the crowd moving. 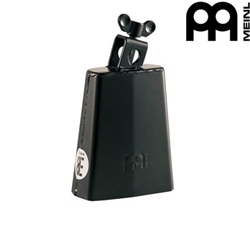 Grab this Meinl Percussion Headliner Series Steel Mountable Cowbell for a great-sounding bell that will last as long as you need it to. Add some spice to your drum set with the Meinl Percussion Headliner Series Steel Mountable Cowbell!